Do you want your children / grandchildren to strengthen their love for the Eucharist, strengthen their prayer life, and have a greater appreciation for the rosary and the Sacrament of Penance? Have your children join the St. Bede's SAINT PADRE PIO KIDS' CLUB. This club is for all children throughout the Tri-State area in grades 3-8. 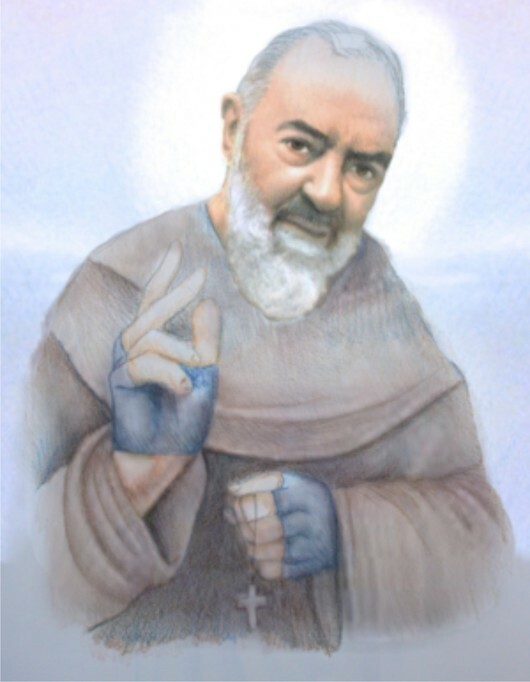 Club members will receive a laminated membership card, a membership certificate (suitable for framing), learn the club song, receive special mailings, learn St. Padre Pio prayers, and learn more about the life of Saint Padre Pio. There are no meetings involved with this membership; however club members will receive special privileges and gifts during the annual Saint Padre Pio Festival at St. Bede's Parish. Call (215) 357-2130 for any additional information.